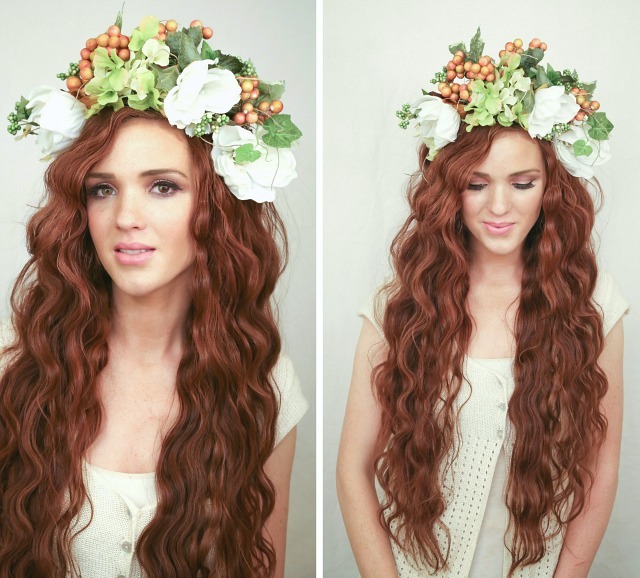 At any rate, I couldn't let my bohemian music festival hair tutorial week go by without adding in a flower crown, and these curls are so romantic and ethereal I thought they'd be a great match.haha Anyway's I hope you love it! Steps 1-3: (1) Start by brushing your hair smooth and free of tangles. (2) Divide your hair into three even horizontal sections, (3) tying the top two up for later. Work some heat protectent into the bottom layer. Steps 4-6: (4) Begin crimping a 3 or so inch section by keeping the iron as close as your scalp as possible. On the second clamp down your section (5) remember to keep your hair between the iron and your scalp slacked and not taunt so the curls can set properly. Once you reach the bottom of your section (6) leave a couple inches of hair out of the iron, this will give them a much more natural look. Steps 7-9: Once you've finished with the top layer (it should only take you a few minutes since the crimper is so big), (7) let down your second section, spray with heat pretectent, and repeat the process. (8) The same with your top layer of course, working away from your part. Once you're all done, (9) rub your fingers through your curls a bit (like you're giving yourself a head scratch) to loosen them up. Flip over and give a good shake, spray with some hairspray for hold, and you're finished! At this point as you can see I added a fun little flower crown to complete my look, but you can of course go in any direction you want with it! The automatic volume from the lift you're giving your roots works great for any of your favorite up-do's, ponytails, messy buns, braids, etc etc, and remember that I'm always here for questions if you have any! Also a couple things before I end: yes I'd love for you to pin this tutorial or any of my tutorials for that matter! I've included a little 'pin it' button to make it even easier to share with your friends so do't worry about that:) Also no, I'm not wearing extensions:) and yes, I'm planning on doing hair care/routine/favorites/recommendations etc so so soon I promise!! Thanks for visiting, and I hope you come back again soon! This is soooo pretty!! I totally need to get a flower crown now that I'm inspired by yours! Love it. I also love your crown. Did you make a tutorial for it? You have the most gorgeous hair. I am sure you hear that all the time! I have been considering investing in a triple barrel wand for a while - do you know if they come in different sizes? I have shorter hair so bigger waves won't suit it. What brand do you recommend? Your hair look SO lovely. 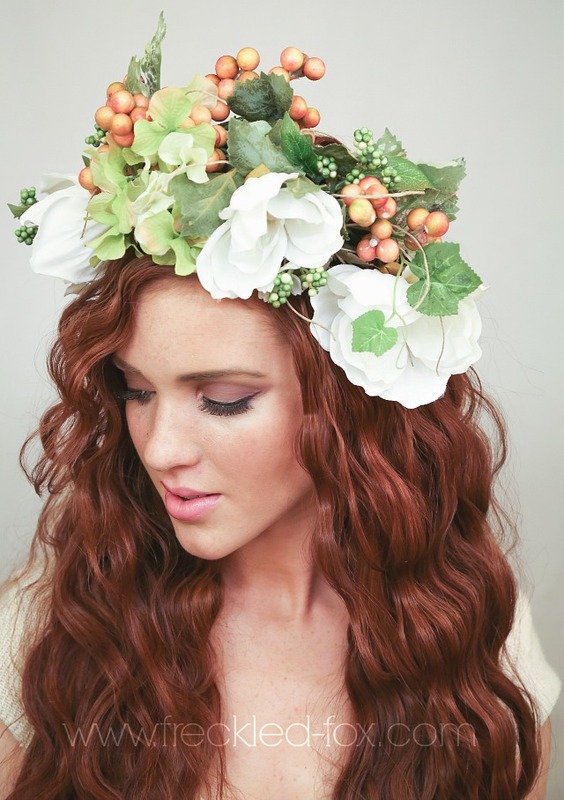 I am loving this flower crown trend so much, I need to order some. I just love your hair tutorials! Your hair is so awesome. What curling iron did you use? How much? Thanks! 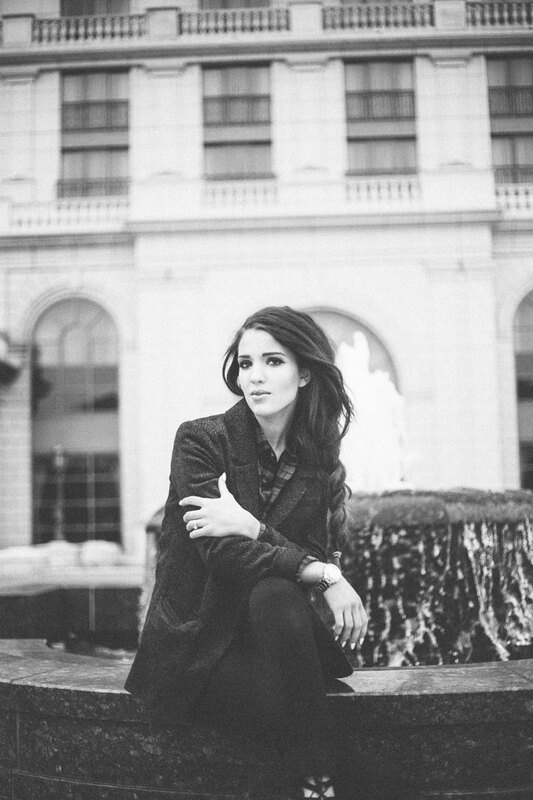 You are insanely beautiful and these photos are fab!! Great work, love! Wow! You are sooo beautiful! Such a beautiful hairstyle! You have such pretty long hair girl! What do you use to keep it from getting damaged? Do you use hair masks? I need a large three barrel now! it's amazing! you are very beautiful! love it! When my hair gets long I will be investing in that wave curling apparatus. 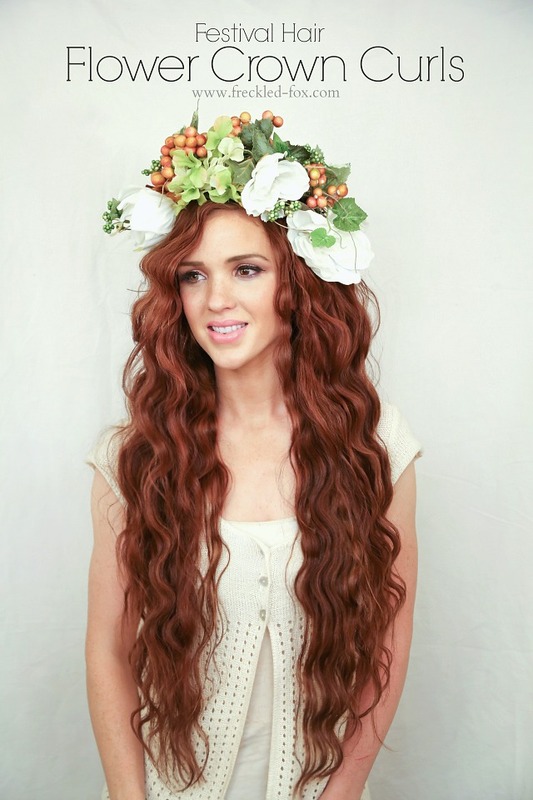 Ever since I found you on Instagram, I've had serious hair envy ;-) The curls look great! I've never seen crimper-style curls look so natural before. I just had a question about how you keep your super-long hair healthy. I just cut off 5 inches of split ends (almost a year of growth!) and I'm really annoyed about it. Oh my God, Emily ! You're amazing !! This is beautiful !! These curly hair look is always so romantic!! I have a 3-barrel that I haven't used in the longest time, and now I'm def going to pull it out soon! 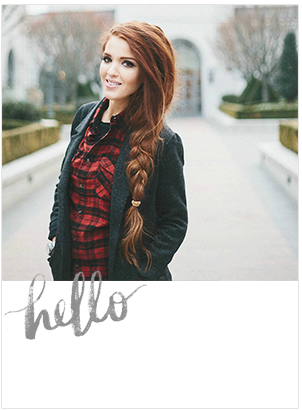 I've been bookmarking all of your hair posts to come back to! I would love to see a messy- but pulled together- pony tail! Is there such a thing? And hot roller big curls! And a make up tutorial! This looks great, I'm glad to see a real life example of this crimping iron. I want one, but was always afraid it would look really 1990s crimpy. It looks amazing with your super long hair! This. Is. PERFECT. Oh my gosh, I need this crimping iron! Love it! What brand of crimper do you use? Love this look! 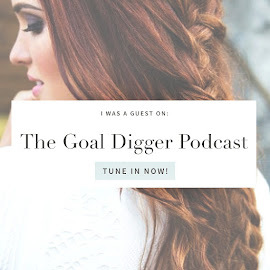 And just love your whole blog, just stumbled on it. My hair is about the same length as yours, wondering how much time it took you to crimp it all? Thanks!